While the Electronic Entertainment Expo (E3) and its accompanying game reveals, announcements and trailers are usually the event’s trademarks, there’s a few bad to go with the barrel of awesome juice every June. For every game announcement that rocks us off our seats, there’s bound to be a 10-minute segment where we’re bored out of our minds. Not only that, but there’s a lot of scripted trailers that seem to be too good to be true from time to time (usually, it is!). 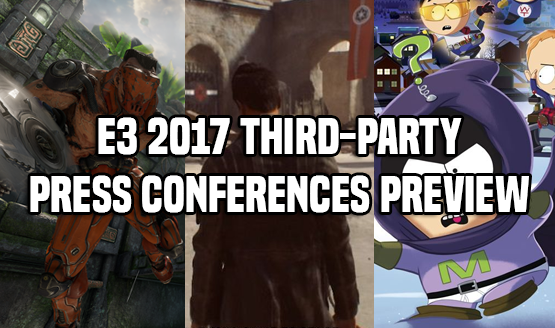 In this week’s Top 5 Tuesday video, we take a look at the five things we hope doesn’t happen in any of this year’s E3 2017 press conferences. Saw it? Agree with our top five or is there something we missed? What would be your top five things that you hope won’t happen at this year’s E3? Don’t forget to check back this coming weekend for everything E3! Not only will we be covering every major press conference and news, but PSLS will be on the show floor to brave the crowd and get our impressions in on the latest games.